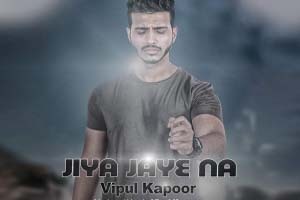 A sad love song in the voice of Vipul Kapoor featuring Akansha Sarine and Sankat. Features: Akansha Sarine, Sankat, Vipul Kapoor. The video of this song is available on YouTube at the official channel Times Music. This video is of 4 minutes 52 seconds duration. Lyrics of "Jiya Jaye Na"
Lyrics in Hindi (Unicode) of "जीया जाये ना "